Fundraiser for Wendy Roche by Mel Knight : Demi knight cancer treatment fund! Demi knight cancer treatment fund! 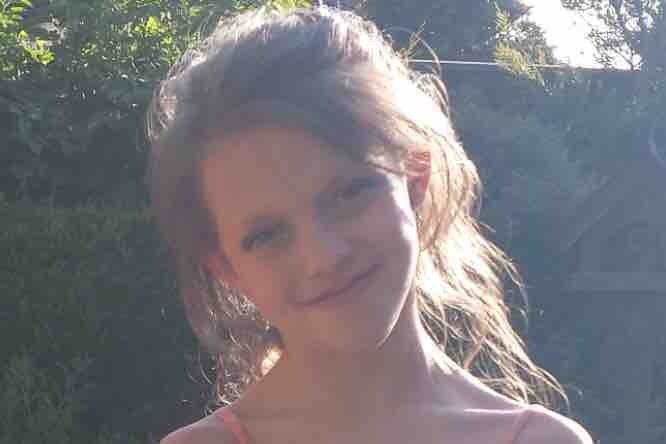 Hi everyone, thank you for visiting our campaign for my daughter Demi, me (Melissa Knight, Demi’s Mum) and Wendy (Demi’s nan) have set this up to try and raise the money we need to get demi the best treatment available in the US to save her life, because the UK can’t do anything more for her. Demi has a Medulloblastoma brain tumour, which, after Chemo-therapy, radiation therapy, a major brain operation to remove the tumour which was then followed by conventional treatment through the NHS, it has now returned one year after treatment has ceased! We live in a small town in Lincolnshire called Louth and appreciate as much help and support as we can possibly get. Please help us by donating and sharing to help raise awareness, and to help with medical costs in the USA for the treatment she desperately needs to save her life!! Demi’s recent scan results as of 26/4/18 after the first scan showing recurrence also showed how little time we must act, showing progression to be more aggressive than anticipated, this is my girls’ life!! Through funds that we have raised so far and borrowing some money we have managed to obtain enough to get out to the US and get treatment started, as timing is crucial!! The earlier the intervention the better, but we will have ongoing medical bills in the US for approximately one year and we are frantically needing to raise funds that are so desperately needed to continue Demi’s treatment, please help us, your continued support means EVERYTHING to us and especially Demi who is absolutely thrilled because of everyone’s generosity and kindness, she is able to get to the US and get her much needed treatment started to save her life!! PLEASE HELP ME SAVE MY DAUGHTERS LIFE! Demi was a perfectly happy, healthy and normal 9-year-old little girl who, in December 2015, was abruptly diagnosed with a Classic Medulloblastoma brain tumour. After hours of major and life-threatening brain surgery the tumour was successfully removed, followed by radiotherapy and chemotherapy which finished in February 2017. Demi was having scans every 3 months until March 2018 which has shown that the tumour has returned around her brain and in her spine. A further scan at 8 weeks later has shown the disease to be progression faster than anticipated. The NHS are not able to provide any further treatments in the hope to cure the disease as the only treatments in the UK are radiation and chemo-therapy, which Demi cannot receive due to the high doses she received in the fight for the first prognosis!! Since this news we have frantically been trying to find promising treatment for Demi and where it is available. In our quest to find treatment, we have found the Burzynski Clinic in Houston, Texas, which can offer us the best hope through using Antineoplaston Therapy. However, this Treatment comes at a cost that on our own is impossible to fund and the NHS won’t help towards. I’ve spoken to parents of a child who was treated at this very clinic after being told their child’s brain cancer was also terminal and all hope was lost, this was back in 2008 and this child’s tumour is now resolved and she is alive and well today! Our decision is also based on other people’s experiences of visiting and being treated at this clinic, that’s why we’ve chosen it, since visiting the Clinic, meeting all the staff, other patients and Dr Burzynski himself personally, we know that we have chosen the best place and the best treatment for Demi. We have been told that to get us going we needed at least £35,000 but them costs would be ongoing and will end up costing up to around at least £200,000+ and this is to cover costs of everything that involves getting us out there including the treatment, extra medication, flights, accommodation, scans and follow ups etc. We have since learnt that our medical bills will exceed this estimated total and are now looking to average around £205,000! We are desperate for funding and prepared to do and go to whatever lengths we need to, to save our Demi and I as a mother will never give up on my daughter, she will not be taken from me and so I’m asking every one of you for your help and support for this treatment that offers the best hope for Demi. Every little helps’ and I thank you in advance for your support and time taken in helping us. If we should be so lucky to reach our goal and/or there is any money left over that we don’t personally need to use in helping demi get better through what we are already doing then we would like to use it to help and support other families who may one day be in the same position that I am in right now! I feel it’s only right that the money we raise goes towards what it is intended for, to help save a life! Dr Burzynski has reviewed all of Demi’s medical records and is very confident that he can treat/cure her! Never in a million years did I ever think I would be in this position as a mother and have to reach out for help to save my child’s life, we as a family have been through hell and I never ever ask anyone for anything, until now, I need your help, Demi needs your help! We have a Facebook group, please join and add people to it, the more support we have the better! Or search on Facebook, help save Demi’s life, and you will find us! Thanks again for visiting our campaign and reading our story, we hope you can help us! And make this, what we are going through as a family right now, one day, a distant memory, i want to watch my daughter grow up into a beautiful young woman and lead the life that she deserves, Demi is the gentlest, caring, selfless and loving person i have ever known and come across, i am so proud to call her my Daughter! She shows nothing but strength, courage, kindness and determination, she truly is one in a million and she doesn't, nor did she ever deserve any of what she’s had to go through and is doing. Please find below our other social media groups, though our Facebook group is the most active and up to date, all our social media is run by Demi's family. A decision has been made to close down Demi’s fundraising pages. This will happen shortly. There is now enough money in the bank for us to complete all of Demi’s wishes. So far these have included an iPad Pro, a trampoline, a trip to Cadbury world which is later this month and a spa trip with her Mummy which is also booked for later this month. Demi has no scans coming up, it’s more a case of waiting to see and when or if symptoms occur they will then be managed. The Facebook page and group, Instagram and Twitter will all REMAIN ACTIVE and I will continue to bring you updates on Demi for the rest of this journey. We can not thank you enough for all of the support and fundraising you’ve all done for Demi. For all the love shown and for all of the donations made. Without each and everyone of you Demi wouldn’t have made it this far. The future is uncertain, all we can do is take each day as it comes but right now Demi is doing well. She’s active, her appetite and fluid intake is good and she’s smiling more now than in a long time. The last couple of weeks have all been a bit of a blur, bad MRI results and Demi fighting the flu has taken its toll. The clinic have still not received the disc of the scan however they have received a report of the scan. The clinic have come to the conclusion that the tumours in Demi’s brain are not the same as in the spine. It is now believed the cancer genes have mutated and the cancer in the brain is different to in the spine. Which explains why the spine tumours are no longer growing but the ones in the brain are. The tumours in the brain are in the centre and it is not fair or feasible to put Demi through another operation to obtain a biopsy. We have tried everything we can to find alternative treatment options and trials for Demi with no luck as of yet. The clinic have suggested putting Demi on Atengenal as well as the treatment she is already on. The problem we have is the treatment they want to add in is what Demi was initially put on, her body couldn’t tolerate it and she became very poorly and that is when Demi’s health was in better condition. Now Demi’s health has deteriarated further we still believe her body will not tolerate it. Even if Demi’s body does tolerate it, her organs will not. It will not cure Demi, it will prolong her life, which currently she isn’t enjoying. She is miserable, fed up and incredibly skinny after her battle with the flu. The family and Demi are now having to make some incredibly hard decisions as to what will give Demi the best quality of life and happiest life possible. 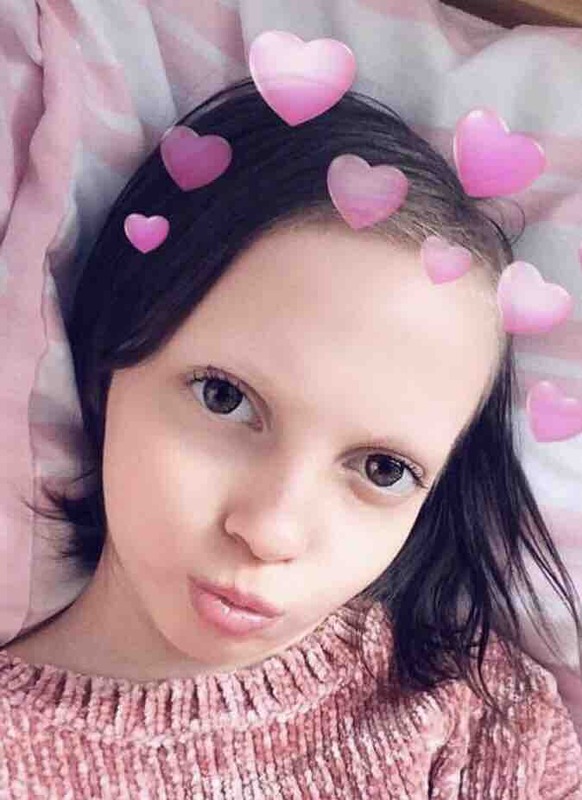 We will not be shutting down the go fund me yet, but please if you wish to donate please be aware that your money may not be spent on treatment, it may be spent on helping us fulfil Demi’s bucket list. Right now we can’t give you a certain answer but we can update you with the information we now have. The tumours in Demi’s spine have stayed exactly the same, no growth. The nodules in the brain that showed up in the last scan are still there and a little larger. Our next move is to wait to hear from the clinic in Texas next week with their thoughts on the scan. They will tell us if they can alter or change Demi’s medication to continue her fight. If they can’t offer anything to Demi then our next hope lies within the sample which Sheffield are currently trying to find. Once it’s found they’ll send it to The Royal Marsden for the DNA genetic sequencing test which will be done on the NHS. There are still options which means there is still hope. However all these options will be laid out to Demi once the clinic in Texas has been in touch. Whatever Demi decides to do is what we will do. We still need your help, we still need donations and we still need to spread Demi’s story. There are options out there that cost £500,000...we need to be prepared for this which means we need donations coming in just as much as before. We just wanted to wish everybody who has supported Demi. Wonderful Christmas and a Happy New Year. Demi is doing really well at the moment. After her short stay in hospital before Christmas due to low carbonate levels Demi is now doing really well. Her levels have remained stable and Demi is making sure to drink more fluids to stop it from happening again! 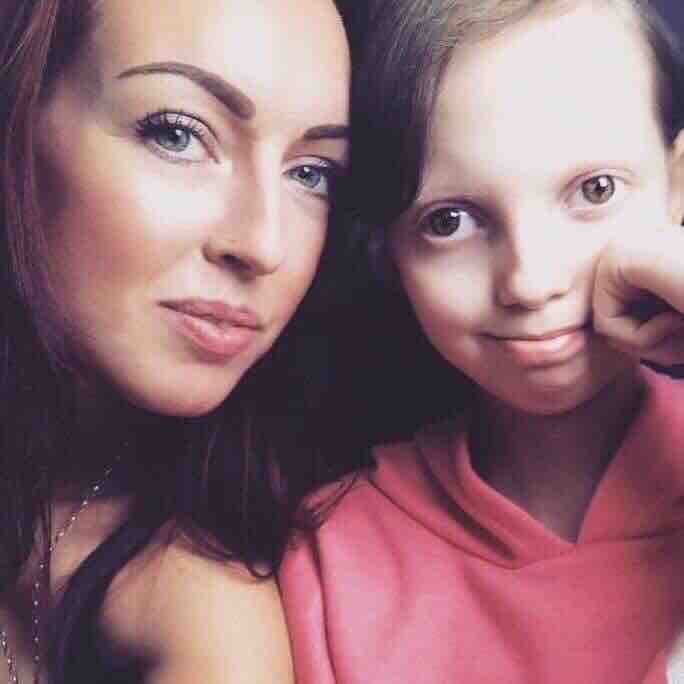 Demi is flying out to Poland today for her Avastin Infusion and will soon be flying out to Texas once we have the funds covered to get her new treatment started. Thank you to everyone for their continued support, without you all, Demi wouldn’t be here!